Villa Complex 3124 is a stylish residence estate for Romance- perfect for travellers seeking intimate and lovable moments to bond with their loved ones. 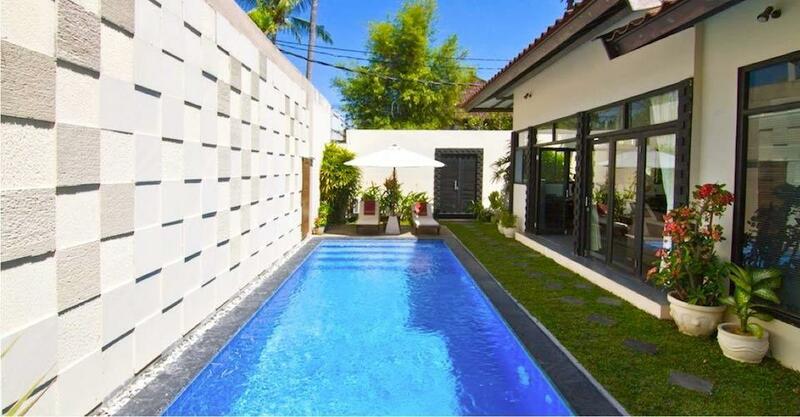 Strategically located in the heart of Seminyak, off the main hustle and bustle Seminyak street, along Jalan Drupadi road, Villa Comlplex 3124 is within close walking distance to some of the most cosmopolitan dining and shopping venues that Bali has to offer. Be greeted by a panelling of robust colours at the façade, with each villa’s signage flanked against the main entrance wall. A tranquil and breezy lush atmosphere surrounds and a water feature with the ganesh charms you as you enter into the welcome reception area. Experience a celebration of Lovable home style living with the ambience of tropical allure. Villa Complex 3124 showcases six uniquely designed concepts enveloped within a private compound complete with a private bathroom and pool. Each villa takes on the theme from a different region around the world that is recognized for its strength, character and cultural identity. The six villa categories are Villa 3125 (Japanese), Villa 3126 (Indian), Villa 3127 (European), Villa 3218 (Balinese), Villa 3265 (New Orleans) and new in the portfolio is the Chinese home called Villa 3554 – each means love in the respective cultures. Inspired by the rich culture of the Balinese and the quaint soulful aura that Bali has, budding entrepreneur Kiti and fellow co-founder Gustu unexpectedly chanced upon a hidden gem- No. 4 Jalan Drupadi six years ago. Then Villa Complex 3124 was created and name after the roadname where it sits. 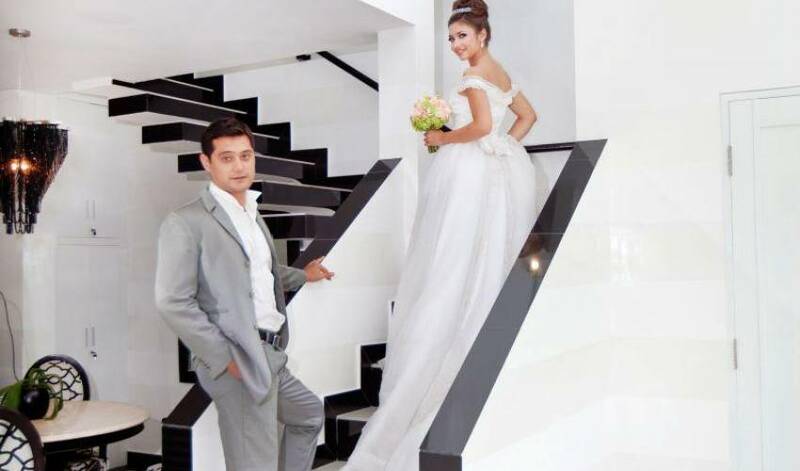 Stirred by the cosmopolitan community and the villa concept in Bali which has enthused travellers from all around the world, the duo desired to develop an artesian romantic Residence that reflects Love across different cultures. Few years on, the charming residence takes on a new facelift in April 2013. It is revitalised and branded now as Villa Complex 3124, with greater emphasis on its Lovable Home themes and spanking stylish interiors, providing an ultimate living space with different cultural feel. Get drawn into Incredible India. 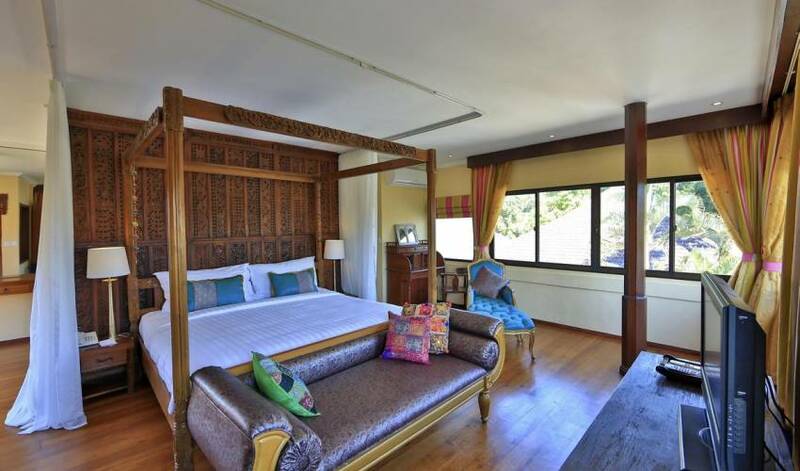 Villa 3126, your two-bedroom Indian decorated home delights you with exotic tapestry of colours – from its ethnic murals, spices, sandalwood scent, rich fabrics, unique pieces of timber inlaid with brass, not to miss is the iconic Indian swing in the living room. 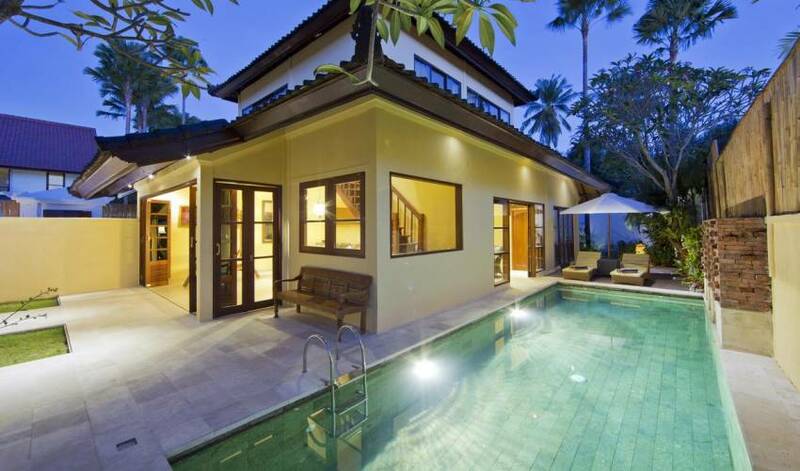 Villa 3126, an awesome villa that captures the ethnicity of India. The entrance is a work of art with a traditional Indian touch. The outdoor lap pool is adorned with an Indian designed water feature and specially treated walls to make Villa 3126 your Indian home in Bali. 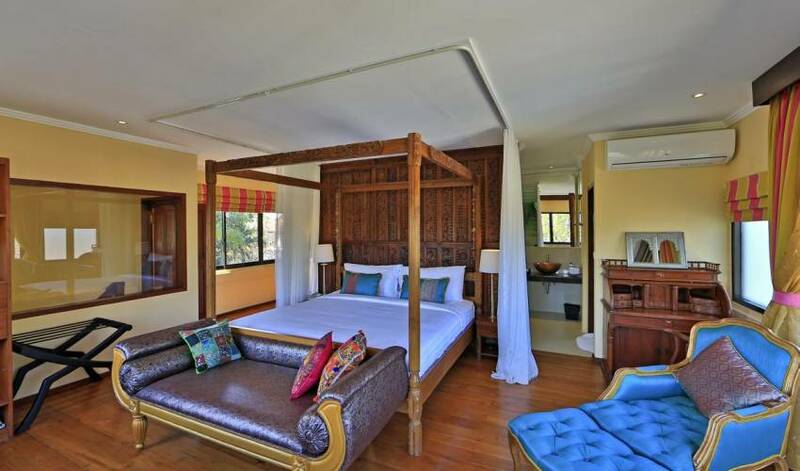 Designed to recreate the comfort and welcoming ambience of an Indian home, Villa 3126 is a well appointed two-bedroom villa retreat nestled within a private garden compound. It is a vibrant setting that nurtures the senses through the use of rustic colours and decorative pieces that give insight into India’s timeless cultural heritage. 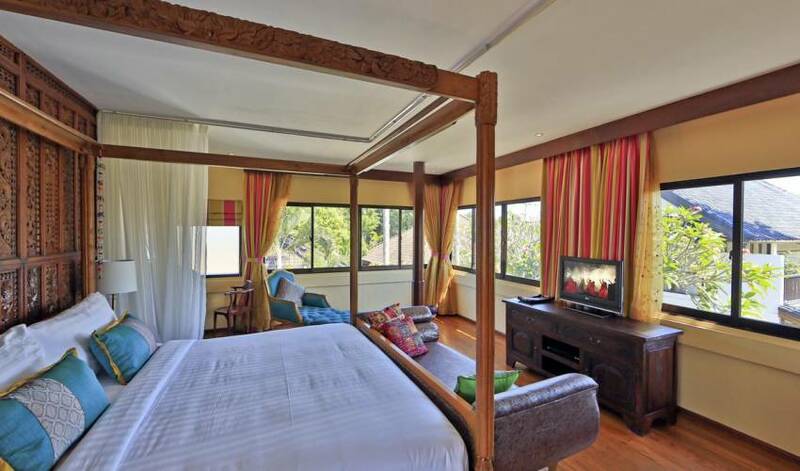 The ideal holiday place in Bali for a family travelling with children or a small group of friends, Villa 3126 offers modern conveniences to enhance every stay. A tasteful living area with an iconic Indian crafted swing makes way for a soulful evening or gathering amongst friends and closed ones. Interesting murals dot the walls , complementing the wooden furnishings and rich carpet tapestry and colours which make an Indian Home known for. While the focal point of the entire living room is a swinging love seat swing that was once customary for couples to sit upon during the pageantry of a traditional Indian wedding, exotic sculptures, lamps, vases and other aesthetic treasures are scattered around to add a dynamic visual appeal. An integrated kitchen adjoins to the dining area with views of the pool.It is a delightful spot to enjoy a leisurely breakfast before a busy day sets in. The kitchen comes equipped with all necessary appliances and tableware for those who choose to occasionally dine in or entertain an intimate circle of friends and loved ones. Two bedrooms are located on the ground floor and are suitably distanced to ensure optimal levels of privacy. 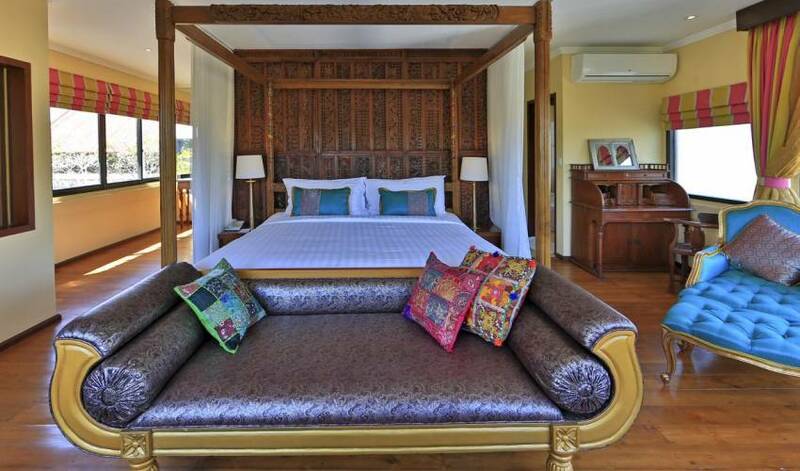 Each features a tapestry of colours, with ethnic murals,Indian artefacts, a spacious king size canopied bed with crisp white linen and a splash of colour from sari inspired cushions. 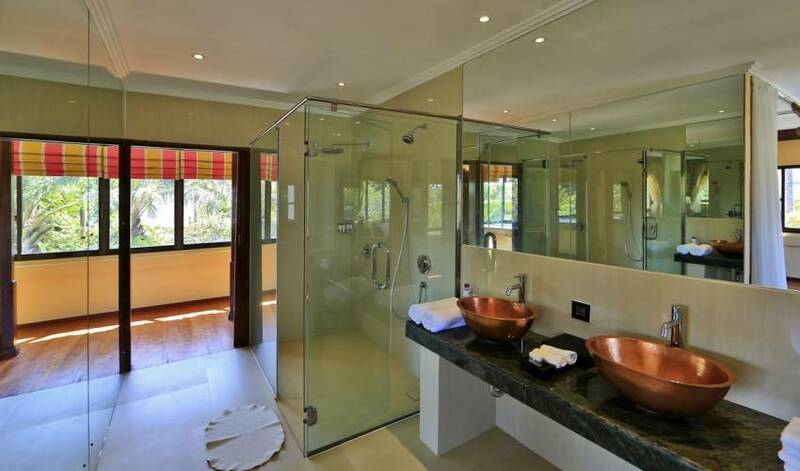 Both bedrooms have an en-suite bathroom with lavish bathroom amenities. Villa 3126 is blessed with a charming outdoor environment complete with swimming pool that is edged by a stone feature wall with statues and flowing water. It embraces the concept of tropical living that essentially replenishes the body, mind and spirit.